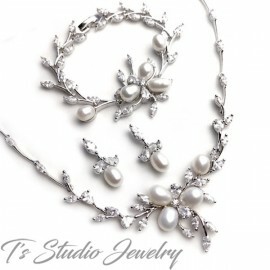 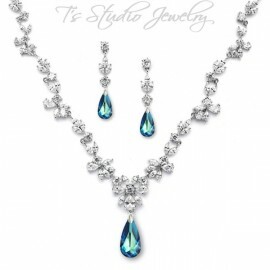 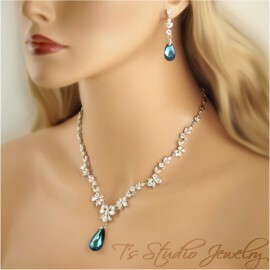 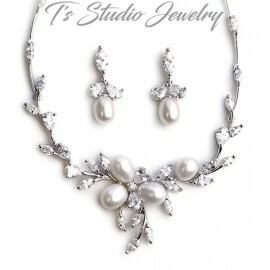 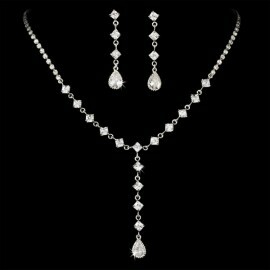 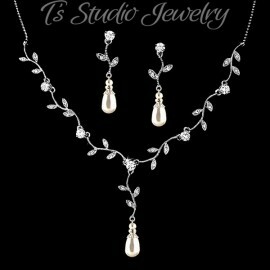 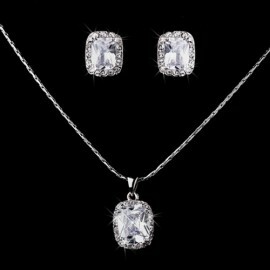 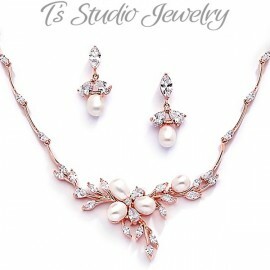 This necklace and earrings set is delicate yet elegant. 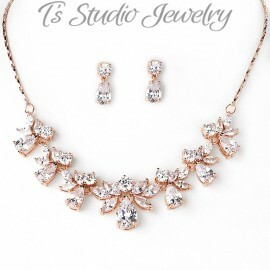 It features gorgeous circular designs encrusted with shimmering Cubic Zirconia. 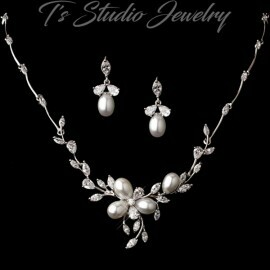 A beautiful accessory for your wedding day. 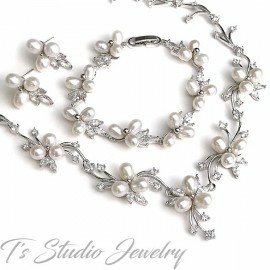 The necklace measures 16" in length with a 2" extender.